Government is a social contract, hence in the execution of this contract between the government and the people, there must be clear and unambiguous communication. October 29th, 2018 was a spectacular day on the Brekete Family Radio show when the government was brought to the people. 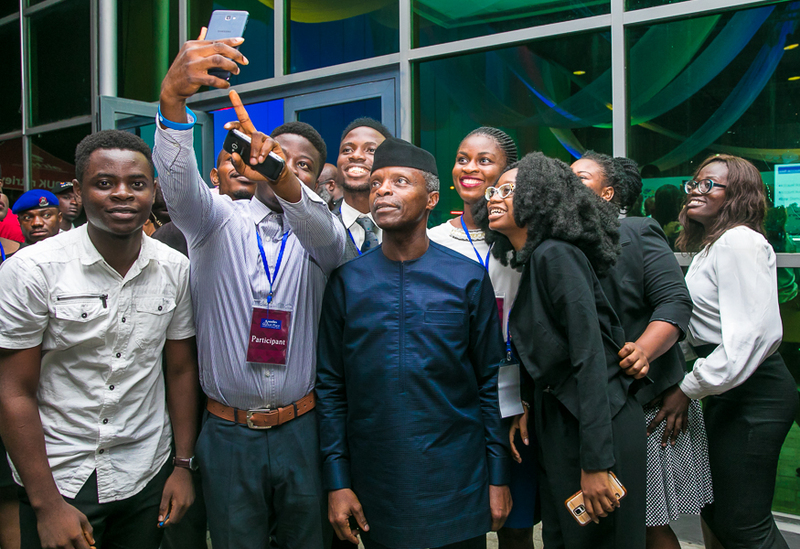 The Nigerian Vice President, Prof Yemi Osinbajo was a special guest on this live radio show, which strives to be the mouthpiece of the common Nigerian. It serves as a voice of the people in search of tenable solutions for inclusive national development and to offer redress for public injustice, wherever it occurs. These are achievable by addressing the ubiquitous presence of penury, unemployment, youth restiveness, gender inequality, mass illiteracy, infrastructural decadence, insecurity, misappropriation of public funds and gross misconduct in public offices among other subjects. The show which is anchored by Mr. Isa Mohammed connected the people with the office of the Presidency as the Vice President enlightened the audience and Brekete Family about the government’s involvement and effort in addressing trivial social and economic matters which affects mostly the average Nigerian citizens. It was an interactive experience which stipulates the answerable quality of a democratic government to the voters and member of the public. With the advent of platforms organized with the same or similar rationale, public office holders can account for their activities and years in power to the people who they represent envisaging a proper democratic tradition which could lead to efficiency while in public office. For decades, the unemployment amongst young Nigerian graduates has become an unsolved concurrent problem in every government, leaving a huge amount of redundancy in actualizing a modernized and youthful empowered nation. 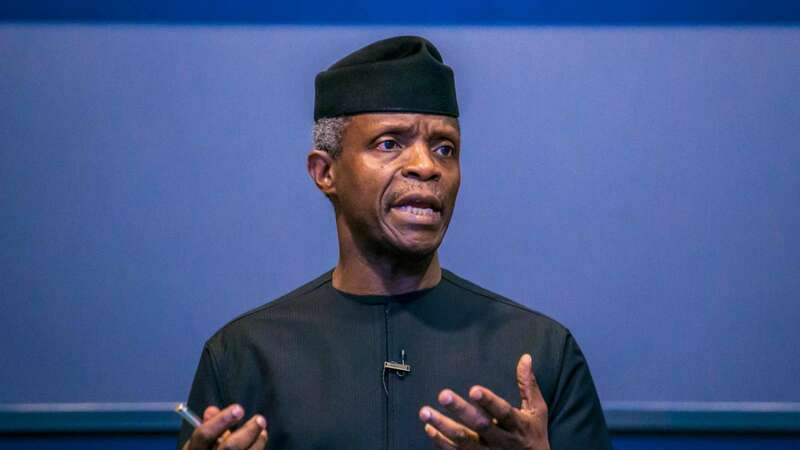 In the VP’s remarks, he stated that the government has employed over 500,000 unemployed Nigerian graduates through the National Social Investment Program, and measures are underway to tackle other imperative issues affecting the growth of Nigerian economy. The scheme while benefiting the poor across the board, especially the poorest of the poor in the society, who have long been a larger proportion of the targeted population in lifting Nigeria out of poverty; has also engaged a lot of petty Traders. Everyone can attest to Osinbajo’s commitment and magnanimity in driving initiatives to accelerate human capital development in the country. He is loved and appreciated for his pro-activeness in handling urgent matters, as opposed to the “sitting in the Villa” attitude we have seen in past Vice Presidents. Throughout the history of this country, there’s never been a Vice President who is as selfless, dedicated, supportive to Mr. President and accessible like Professor Yemi Osinbajo, SAN. His penchant for good governance and accessibility by the public is admirable. He will continue to be cherished for having the interest of the general public at heart and being a strong advocate against corruption. Callers had the phone lines jammed up as Nigerians both at home and in the diaspora, all wanted to have a say to voice their concerns, observations, and appreciation on various issues. This studio appearance virtually opened the Presidency to the people, bypassing all bottlenecks that impede communication. Ifeayolu Nnaedozie is a social commentator. Op-Ed: Why Are Art Shows In Lagos Boring?